Mark Jensen was raised in Queensland and from an early age has been inquisitive about the bounty of fresh tropical fruits and seafood that are uniquely available in the state. 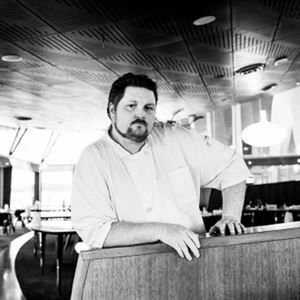 With an unwavering passion for fresh produce, Mark began his career in London and spent four years under the guidance of some of the most respected chefs in the United Kingdom. Upon moving back to Australia, Mark joined Circa in Brisbane before returning to his north Queensland roots at Lizard Island Resort. 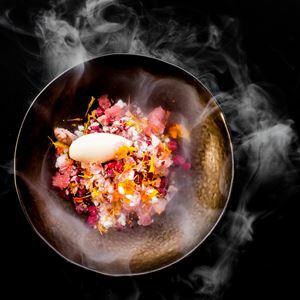 After his time at Lizard Island Resort, Mark relocated to Brisbane with a new philosophy about maximising flavour to balance the tropical Queensland climate. This philosophy shone through at Marco Polo in Brisbane, where Mark was Head Chef and decorated with two hats in three consecutive years by the Good Food Guide. Following Marco Polo, Mark held the role of executive chef at Spicers Peak Lodge and was awarded another two hats two years running. It was during his time in this role that Mark gained a deeper appreciation for local produce and the importance of working with ingredients that complemented a location. 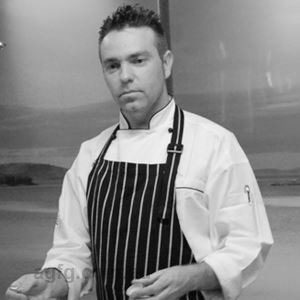 After achieving acclaim in South East Queensland, Mark decided to return to Tropical North Queensland and worked in Cairns before returning to Lizard Island Resort as Executive Chef. Following five years at Lizard Island, Mark has moved to the Whitsundays to continue his passion for fresh native Queensland ingredients. 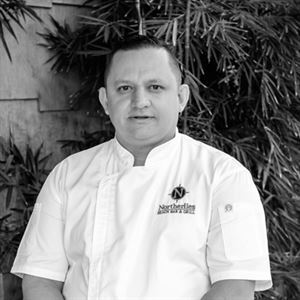 In his role as Executive Chef, Mark has developed a menu that shows a synergy between the natural beauty of qualia’s landscape and an inherent respect for produce and producer. 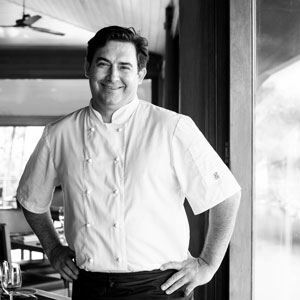 Mark’s philosophy for qualia is to ensure the dining experience is elegant, yet remains simple, fresh, and a true reflection of the beauty of the Great Barrier Reef and Whitsunday Islands. Little reinvigorates the soul as well as an island getaway, but Pebble Beach restaurant on Hamilton Island manages to go one step further. Situated in luxurious qualia Resort, Pebble Beach’s superb island location is as romantic as any dream, where a sweeping beach panorama complete with encircling islands, can be admired from tables on a wide deck, elegantly set with white napery and candles. The view isn’t the only thing to take your breath away – Pebble Beach’s Modern Australian menu captures the essence of fine dining, producing visually stunning dishes like yellowfin tuna, sweet wasabi, soy pearls and caviar. Pair duck breast, celeriac, raspberry and sorrel with a glass of 2012 Josef Chromy Zdar Pinot Noir, before a divine dessert of Bowen mango, ruby cocoa, meringue and finger lime.